One of the reasons why marketers love affiliate marketing is because it is easy to measure. Maybe that is why a lot of money is getting spent on it. By 2020, the spending is expected to reach $ 6.82 billion. More investment in affiliate marketing means more workload and an increase in the need for affiliate marketing tools and software. In this post, we will talk about 31 of the best affiliate marketing tools which can make marketers’ lives easier. Everflow is probably one of the best affiliate marketing tools. It gives you real-time affiliate analytics. With Everflow, you have fraud protection across clicks, impressions, conversions, and post-conversion activities. Their FlowXchange feature gives you full control via a rule engine and also automates your campaign. LinkTrust is known for their outstanding customer support. Their affiliate marketing tool is customizable. This gives you access to the payouts, content, and also analytics from ads, devices, products, and even offers. Their customizable interface allows you to track all types of ads through pixels, server posts, cookies, mobile traffic, and more. The unique thing about Afftrack is that it’s the only tool in the market who provides unlimited clicks for all its packages. These days they are even offering fully loaded service for 3 months just at $1 to the new subscribers. They also provide unlimited affiliates and offers. HitPath is a multichannel tracking platform. Their interface is simple and user-friendly. The most valuable features include a cross pub campaign accelerator, real-time tracking, and affiliate management. HitPath is scalable and customizable too. They are known for being flexible to customer demands. Impact was o Inc’s 2018 list of 5000 of America’s Fastest Growing Private Companies. Radius is Impact’s affiliate marketing tool. It gives you global access to affiliates and lets you manage influencers and traditional affiliates on a single platform. This platform lets you contract with affiliates, then track the traffic and conversions. You can also credit affiliates according to your terms. This advanced affiliate tracking software has features like a built-in affiliate contact tool, an alert when any affiliate drops you, and more. It also helps you gain the SERP rankings using your affiliates. Their TruLink feature doesn’t need any affiliate ids anymore. It tracks everything from the registered URLs of affiliates. Affiliate marketing tool, HasOffers, also provides unlimited affiliates. It has great tracking metrics and 99% tracking uptime. It also offers insights and purchase processes. This tool can also provide you with leads. This is especially beneficial for agencies handling client accounts. Voluum’s key features include a state of the art reporting tool, not to mention the real-time reporting, and 20 standard and 10 custom data points about the page visitors. It also includes direct tracking pixels and CPC, CPM, and CPA cost models. Journey is Cake’s affiliate marketing tool for tracking. It helps you optimize your spending based on positional and data-driven values of key steps in the customer journey. It also integrates seamlessly with other marketing tools. According to their clients, getting started with Post Affiliate Pro is easy. They also have great customer support. Their key features include fraud protection and accurate tracking. They also accept all types of affiliate links and allow multiple currencies. This is one of the most popular tools for ad intelligence. You can keep track of your competitors’ profitable ads. And you get desktop, mobile, and native options for all of your traffic needs. You can also keep track of your competitors’ ecommerce products and stores. WhatRunsWhere makes sure you spend every penny on advertising wisely. It gives you actionable insights into your digital strategy. With WhatRunsWhere, you get access to 60 million ads across 7 countries. Here you get fresh data every day so that you can plan your strategies with complete accuracy. CJ Affiliate is one of the world’s largest affiliate networks that has been designed to help you drive bigger results. You can use this platform to reach and influence your customers throughout their buying journey. They help you identify the most influential affiliates and reward them. Awin is an affiliate marketing network of 13,000 advertisers, 100,000 publishers. No wonder they also provide valuable market insights in forms of whitepapers, podcasts etc. HP, Emirates, AliExpress, Forbes are some of the big names on their client list. ShareASale is a platform where merchants and affiliates can meet and do business. Their cutting-edge technology makes usage seamless for customers. In 2017, Awin acquired ShareASale and gave it international exposure. At Thirsty Affiliates, bloggers not only list themselves but they also earn money. Therefore, for marketers, it’s easier to get active affiliates here. Thirsty Affiliates proactively fixes your broken front end links. It also provides an alternate destination for international clicks. KeywordSpy is a tool that helps you launch profitable affiliate marketing campaigns in less than an hour. You can easily find top affiliates to promote your products using this tool. It lets you perform advanced searches to identify the top affiliates. Also, you can use this tool to get in-depth analysis, stats, affiliates, and ad copies of your competitors. Refersion is an advanced tool that allows you to efficiently manage, track, and grow your network. You can integrate your ecommerce platform to track any sales your affiliates drive. This helps you monitor real-time conversions. This tool also allows you to leverage unlimited commission structures and automate commissions. Get access to performance reports and analytics. LeadDyno is easy-to-use software that enables you to launch affiliate campaigns. You can get in front of top affiliates and influencers who are looking for products like yours. Each of your new affiliates gets access to a custom affiliate dashboard. You can provide them with all of the information needed to promote your brand or products. MaxBounty is a leading and trusted affiliate network that allows you to collaborate with top affiliates on a cost-per-action basis. You pay only for results, i.e., when you acquire a customer. This makes MaxBounty one of the most effective and profitable advertising networks. You get access to over 20K affiliates who can help you increase your reach and generate more sales. Ambassador is one of the world’s best all-in-one referral software platforms. Identify the affiliates, influencers, employees, and other advocates you want to partner with. Easily enroll them to run targeted and personalized referral campaigns. Manage all of your affiliates/ambassadors in one place and monitor their performance. You can efficiently optimize your referral program to boost your brand’s reach, awareness, and sales. Tapfiliate is amazing affiliate tracking software for ecommerce and SaaS businesses. You can create your own custom affiliate program in no time. This software enables you to reward, track, and incentivize your affiliates. You can choose from a variety of commission structures and track all clicks, links, and conversions. Popularly known as a content research tool, BuzzSumo also enables marketers like you to identify the top influencers in your niche. You can filter your list of potential influencers by their reach, authority, influence, and engagement. BuzzSumo also allows you to build outreach lists and engage with key influencers. Partner with the most suited influencers for your affiliate campaigns. Omnistar is easy-to-use affiliate software that helps you optimize your referral marketing campaigns for faster growth. You can create an affiliate program and integrate it with your website. Affiliates, including your own customers, can easily promote your brand and products. You will not only get new customers but also see an increase in sales. AvantLink helps you get access to a network of qualified affiliates who are actually serious about referral marketing. This software also allows you to leverage a suite of high-converting tools and robust real-time reporting. Whether you are a newbie or an affiliate marketing veteran, expect to drive the best results with AvantLink. You can also use a number of third-part tools with this platform. Compare your social graphs with others. With Followerwonk, you can connect with relevant influencers. Get a detailed follower-analysis, location, bio, and who they follow. You can even sort followers using their account age, number of followers, the people they follow, and tweets. 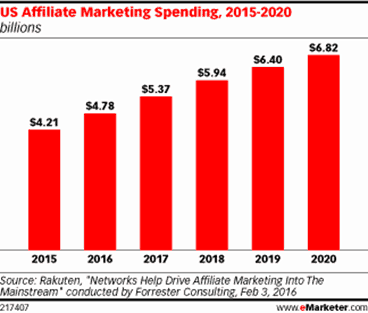 This data can help you choose the top affiliates for your campaigns and connect with them. You can use Bitly to shorten URLs for your social media posts but Bitly has more to offer. Here, you can use your custom links to analyze campaign performance across channels and locations. This tool helps you build a personalized customer experience, and at a large scale. With Linktrack, you can track the performance of all of your affiliate links with ease and accuracy. Get real-time updates to track and analyze where your traffic is coming from. You get to track unlimited links and clicks with a premium subscription. You can also track impressions. ClickMeter provides you insights by monitoring and comparing your links so that you can increase your conversion rate. With ClickMeter, just create your link, use it in your ads, and generate real-time reports. If you are an agency, share your reports directly with your clients from ClickMeter. With a network of over 300K publishers, Affiliate Future enables you to identify and partner with the top affiliates. You can leverage their network of affiliates to extensively boost your brand’s reach and sales. You can easily analyze the performance of your affiliates and optimize your program for better results. You can set commission levels and pay on the basis of their performance. Clickbooth enables you to connect and collaborate with vetted affiliates. You can work on a cost-per-action (CPA), cost-per-lead (CPL), cost-per-engagement (CPE), cost-per-install (CPI), cost-per-sale (CPS), or cost-per-click (CPC) pricing model. With these tools in hand, your affiliate marketing will be more effective than ever before. Keep this post handy while selecting your affiliate marketing tools so that you can find the best tools for your business. Which tools are you using for your affiliate marketing endeavors? Please let us know in the comment section below.